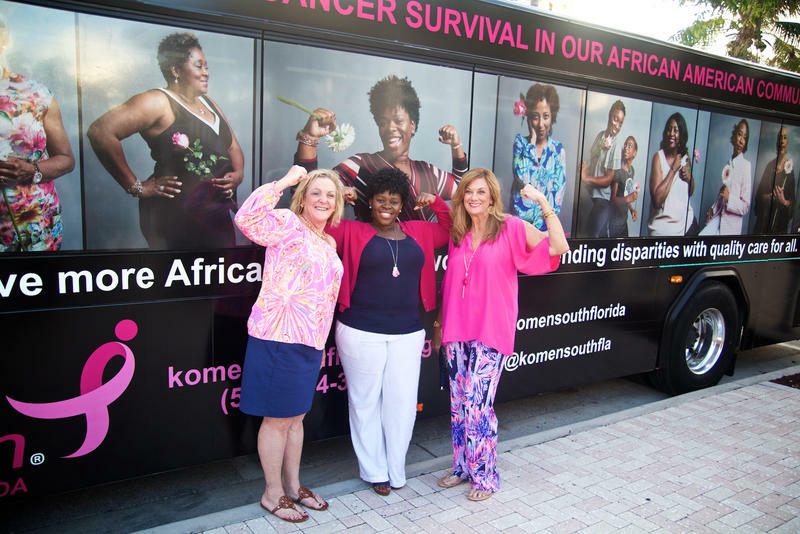 As a counselor, Niasha Fray saw firsthand the obstacles black women face in breast cancer treatment. She's now program director of the Duke Center for Community and Population Health Improvement. Niasha Fray works on issues of health equity at Duke University. "Black women like me have to put on the armor of self-care," Fray says. Fray was doing the counseling as part of research into disparities in cancer outcomes at the University of North Carolina, Chapel Hill. Then in 2017, Fray found a lump in her breast. Suddenly, she was the patient. And all of her work helping women — particularly black women, who are more likely to die from breast cancer than their white counterparts — became very personal.
" 'Please take care of yourself. Please remember to slow down.' These were things that I had told many women," Fray says. "Sometimes we're our own worst patients." Breast cancer is less common in black women, yet they're about 40 percent more likely to die from it than are white women. One reason for this is that black women more often have advanced cancer once they do get into treatment, partly because they are less likely to have health insurance or to get screening mammograms. Another reason, a new study suggests, may be that black women are less consistent with follow-through with the years-long course of daily endocrine therapy prescribed for certain common types of breast cancer. The study, recently published in the Journal of the National Cancer Institute, showed that black women were more likely than white women to have difficulty affording and taking endocrine therapy, a 10-year treatment prescribed for women with certain types of breast cancer. It's prescribed after a woman undergoes surgery, chemotherapy or radiation therapy (or some combination of these) and can help cut her risk of recurrence by half. "It's not women's fault that they're having a hard time with therapy. It's a hard medication to take," says Stephanie Wheeler, an associate professor of health policy and management at the University of North Carolina, Chapel Hill and the lead author of the paper. "I think we can do a better job supporting women." The study followed almost 1,300 women between 2008 and 2013 in North Carolina who had breast cancer. About 43 percent identified as black. Black and white women were equally likely to stop taking the endocrine therapy before the 10 years of treatment were up: About 10 percent of women discontinued treatment early. But black women more commonly reported not taking the medication as prescribed — skipping doses or taking breaks from the medication. Almost 14 percent of black women did not take the medicine every day, while about 5 percent of white women reported nonadherence. The reasons for this are complex, researchers say, and more research may be required to tease them out. They note that black women were more likely to report that paying for the medication was a financial burden, although the study showed that even affluent black women were less likely to stick to the treatment than white women were. They also more commonly found the side effects bothersome, since the endocrine therapy can cause symptoms of menopause like hot flashes and joint pain. "I think the big piece is probably the relationship they have with their health care providers," says Dr. Doris Browne, a past president of the black physician group the National Medical Association and former National Cancer Institute leader. If black patients don't feel comfortable with their physicians, she says, they won't bring up these concerns — and then they can't be addressed. "Patients tend to divulge some of those underlying factors to a provider that is in their own racial and ethnic group," Browne says. "They have a relationship that seems to be a more open relationship." She cites research that shows black patients may have better outcomes when they see black doctors. Only about 4 percent of physicians are black. 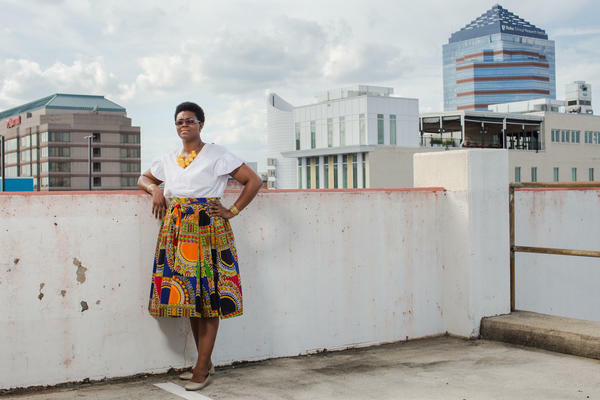 Fray, who is now program director of the Duke Center for Community and Population Health Improvement, thinks the disparity may have something to do with black women identifying strongly with their roles as caregivers. 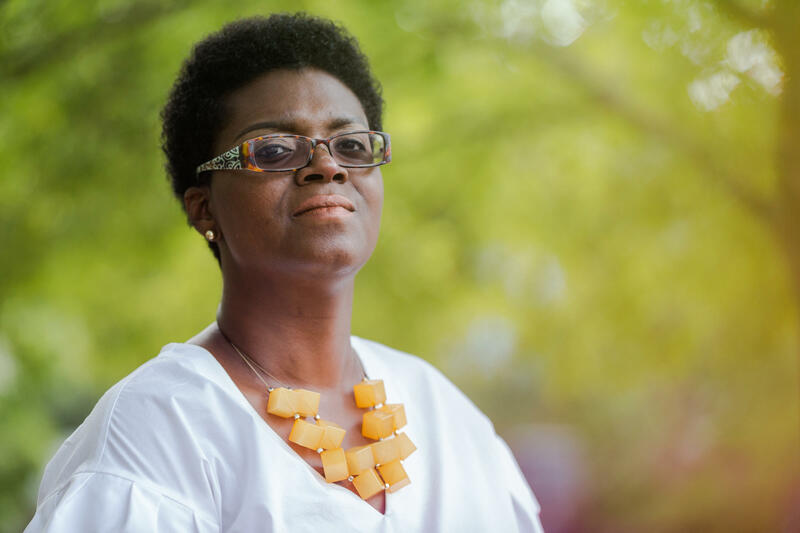 When Fray counseled patients about taking their endocrine therapy, she says, she often found that black women were so accustomed to taking care of other people that it was hard for them to accept help during their treatment. "There was a lot of conversation about the stress of being a caregiver," Fray says. She and her patients would often talk about "the stress of being a black person in America and having doctors not listen to you, having employers that don't care about you." Motivational counseling, such as the work Fray did, may be part of the solution. Wheeler and colleagues are currently analyzing data about the counseling program Fray was part of, and she says she hopes that it will provide evidence that tailored therapy will help black women "articulate what their health goals are." During her treatment, Fray says, she relied on family and friends for child care and meals. She completed surgery, chemotherapy and radiation treatment this past summer. "I got the whole enchilada," she says. Now, her prognosis is good, she adds, but contemplating the next 10 years of endocrine therapy can be overwhelming. "You gotta get your mind right," Fray says. "You can't change the scenario or the situation. How do I change my mind?" For now, Fray is spending time with her family and returning to her career, which now focuses on fighting health disparities in Durham, N.C.
"Black women like me have to put on the armor of self-care," Fray says. "We have to create it for ourselves and be intentional about it ... No one is going to do it for us."